WE all have a personal brand whether we realize it or not: If you show up late to every meeting, that’s part of your brand. If you send handwritten cards, that’s part of your brand, too! The goal of your social media strategy is to give you a platform — or multiple platforms — to express these characteristics and your authentic self. This kind of approach has exponential benefits; it’s a creative endeavor that offers visibility and a new way to connect with like-minded people. A clear personal brand can also overlap and contribute to a professional persona, offering you benefits at work too. In 2014, 74% of online adults used social media platforms — chances are, you already have a big presence on your favorite sites like Facebook. When narrowing in on social media websites, you can pick from huge networks like Snapchat to niche platforms like the cooking site Food52. The best social media mavens use their accounts to build a community with candid conversations. 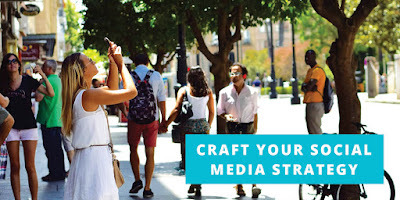 Instead of solely scheduling your social media posts through Buffer or Hootsuite, engage in spontaneous connections. Twitter and Instagram give you ample opportunities to respond to posts and reach out to new people. By engaging with people, you develop meaningful connections and strengthen your personal brand at the same time. What are your favorite strategies to help you build a personal brand on social media?